Do you have tips for a successful dress run? 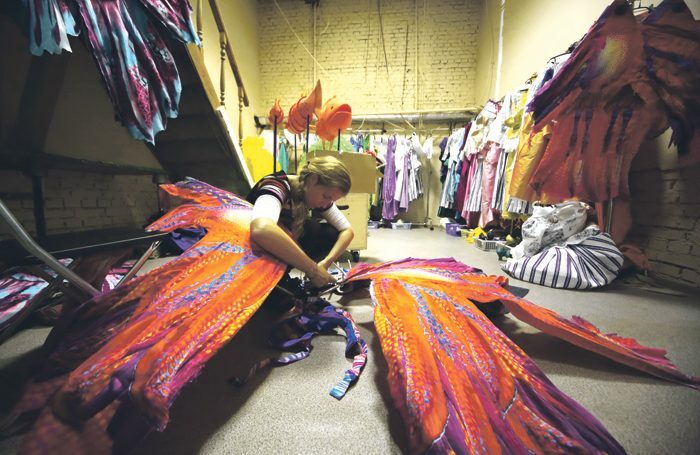 The Green Room: Do you have tips for a successful dress run? Adam Preparation and scheduling. Giving enough time before the dress run for all departments to get ready – and enough time afterwards, particularly if there is a show that evening. Ted Time, calm and readiness. Peter Make sure your costume feels like yours. Adam Remembering that it’s only a dress and not life or death. Ted Yes, it can still go wrong and that is very much okay. Mark Reassure people, be kind, bring biscuits, manage your own expectations, give people second chances. Dale It’s so easy to panic. I do like the ‘bad dress, good show’ mantra. I guess it’s nonsense, but makes everyone relax. Annie Panicking in quick changes and finding props and things almost always slows you down. If you used tech well, you’ll have clocked where not to be backstage at certain times, too, so you’ll avoid stepping on other people’s tracks. Albert Relax – enjoy it and save a bit for later. Ted A good crib sheet. Beryl Use it, learn from it. Adam As a director, getting out of backstage, no matter how many things you want to fix. Ted And looking after each other. Eoghan Realising things will likely go wrong – as it’s the first full run in the space with everything in place, it’s bound to. It’s not the end of the world. Adam It’s time for the company to work together. Dale Last chance to make mega mistakes and try things without an audience. 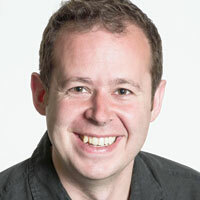 Eoghan A cohesive, cooperative and thoughtful company will work to figure out the fixes, think on the spot and so on. Those moments can be reassuring rather than panicking, if handled well. Peter Remember that, however well disguised, everyone else is as insecure as you. Adam Remember that, having pulled everything apart over tech and stopping/starting all the time, the show rhythm won’t quite be at its best. That’s all right at this point. Mark Tell people to problem-solve and we can talk about it afterwards. I’d always encourage a bit of time for the actors to provide feedback on their experience and vice versa with the technical departments – before the director gives their notes. Albert Try one thing you haven’t done in rehearsal. Surprise yourself. Peter Right again, Albert. Surprise yourself. Ted And reconnect with the people you’re standing opposite. Really listen, really watch and really communicate. Beryl I think reconnecting is a good note, back to working with your partners after all the motion capture and tech has been sorted. Adam Before a first dress rehearsal, I like to think of one practical and one character note for everyone and that’s it. Anything else can come afterwards. Peter Be realistic. Realise that your favourite bit of business doesn’t work with set and costume. Abandon and move on. Eoghan I’ve been in a dress where the director gave a really nice note – “You’ve never known the show better than you do now, and you’ll know it even more tomorrow” – it meant the cast didn’t panic about some line cuts and changes in blocking (it was a piece of new writing) and trusted the fact that they’d been rehearsing for four weeks already and could adapt easily. Annie That’s a great note. Dale I love seeing everyone in costume for the first time. So exciting. Peter An actor can take on another persona once in costume. Embrace, welcome and use it. Annie It’s great seeing all departments come together. I love the buzz around an opening show. Thomas What makes for a bad dress? Not finishing the tech? No biscuits? Mark Not having one and it’s the first preview. Beryl I think stopping is the big thing, you want to run it. Annie Not finishing the dress. Albert I was once in a show that was so badly teched that the cast refused to do a dress as we thought it unsafe. Eoghan That sounds pretty awful, Albert. Beryl Being unsafe, awful. Well done on your company, Albert, loads of folk wouldn’t dare.